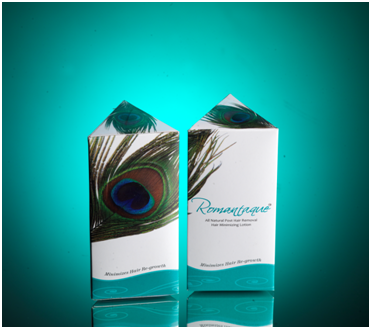 Romantaque: A post hair removal cosmetic lotion ruling the markets of tier 2 cities!! Feel embarrased of unwanted hair growth? And want to get rid of the pain one has to bear for removing these hairs ? Then you need not worry from now as we are up with the solution – Romantaque, a post removal hair minimizer. Romantaque is inspired from a Sanskrit word, ‘Roma’ means Hair, and ‘Antak’ means destroyer,“Romantaque” – destroyer of Hair. Romantaque is designed to get rid of unwanted hair on arms, legs, face (chin, upper lip, eyebrows and side locks) , underarms, ear lobes (pinna) and bikini line. The lady behind this idea is Dr.Mrinmayee Bhusan. 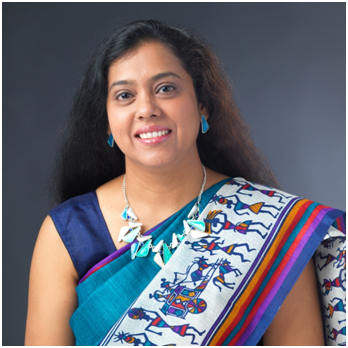 Dr. Mrinmayee Bhushan’s journey towards innovation began when she enrolled for her post graduate MSc (Microbiology) program at Pune University way back in 1992. It happened when she was working for her assignment on Protein Synthesis and Protein Synthesis Inhibitors. At that time one of her female relatives was suffering from PMS (Post Menopausal Syndrome), leading to abnormal facial hair growth. The lady in mid 40s felt the embarrassment and started avoiding public contact. It was painful for her to see a vivacious lady imploding, because of this Mrinmayee began to wonder if the solution lay in protein synthesis inhibitors, and if they could be used to retard the growth of unwanted hair. Ultimately, hair is a product of protein synthesis. 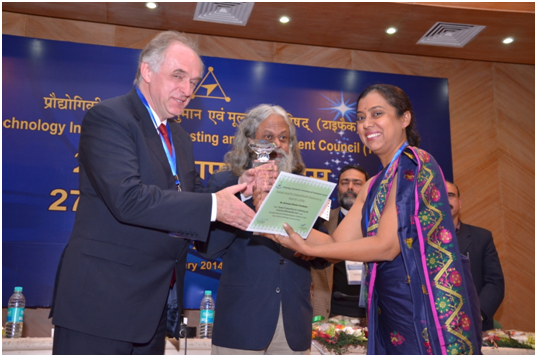 Mrinmayee envisaged a solution that would stop hair growth altogether, rather than just removing hair periodically. She thought of using plant derived protein synthesis inhibitors to stop unwanted hair growth. Then began the journey of developing the product and exploring the path of patents. With limited available resources, Romantaque was developed as a cosmetic. The key processing part was developed by Department of Bio-Medical Engineering of IIT Bombay under TePP grant of DST – GOIndia. Romantaque is the only clinically proven herbal product that inhibits hair growth. Another clinically proven hair-growth inhibiting product is Vaniqa (pronounced as Van-i-ka). But unlike Romantaque, it is a chemical formulation and does not work well for everybody. Most permanent hair-removal methods, such as laser treatment and electrolysis, are very expensive and have side-effects. Moreover, these methods may not be equally effective for everyone, depending on their age, skin and hair color. Affordable options like waxing and shaving have a very short relief span. Whereas Romantaque can be used by women or men, as long as they are able to bear the pain of hair removal by mechanical force like in TWEP -Threading, Waxing, Epilation or Plucking. TWEP is an American abbreviation which represents ‘termination with extreme prejudice’, where an elimination of a thing is desired as final destination. TWEP followed with Romantaque also takes the Unwanted Hair to the same destination of non-existence. Romantaque is very simple to use. It needs to be applied 24 hours after a hair-removal session (such as Threading, Waxing, Plucking or Epilation) and then twice a day for the next 10 days. This cycle has to be repeated after every hair- removal session that is delayed gradually. Over time it results in perceptible stage after the second or third cycle. Fewer hair regrow and hair is shorter in length and thinner. As hair growth reduces, so does the pain involved in hair removal. Also, one does not need to go for hair removal as often. When it comes to working mechanism, hair removal from the follicle, for example, by waxing, epilating, threading or plucking, opens up the orifice and exposes the hair follicles. When Romantaque is applied regularly, these follicles are either partially or completely deactivated, resulting in reduced weak hair growth or no regrowth. Latest patent-protected technology, to enhance the speed of the treatment, and to conquer the doggedness of hair to grow back. This hair follicle targeted cutting edge technology delivers the actives of Romantaque precisely to the hair follicle. This technology makes it highly efficient in reducing the hair re-growth. After each hair removal, Romantaque is advised to be used regularly by the user, twice a day for 10 days. Consistency and regularity in Romantaque treatment show wonderful results. And the user enjoys the dividends of hair-free skin for a long duration. Now having walked this path so long from lab to market in boot strapping mode for last 15 years, Romantaque is looking for investors who are willing to shoot high, to fund a product that will be the “Botox from India”. While they are far away from the goal of Rs 5 Lakh at Catapooolt #Productczars now, their immediate next goal is funding of USD 4 Million. Previous Post Gamicopter: Build Plug-n-Play, Rich Feature Gamification Apps in Minutes – without coding!